Kenny Chesney has added indie singer/songwriter Caroline Jones to his Songs For The Saints 2019 Tour. With a focus on arenas half the size Chesney normally plays, it offers the songwriter from East Tennessee the opportunity to introduce an emerging country artist who’s done it outside the lines to No Shoes Nation. An accomplished and tenacious multi-instrumentalist who plays guitar and piano, Jones learned mandolin, banjo, harmonica and Dobro slide guitar by practicing and watching YouTube videos. 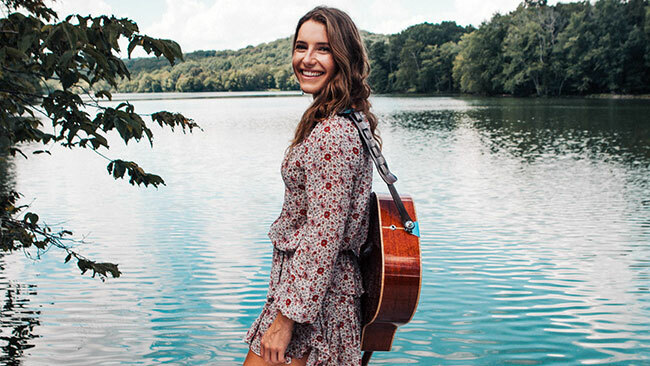 Jones, who largely plays all the instruments on her projects, has a fresh take on modern country; working in collaboration with noted producer Ric Wake, who’s produced Mariah Carey, Celine Dion and Jennifer Lopez, Jones’ kind of country has already attracted notice from Zac Brown, who’s taken her on tour, and Buffett, who signed her to Mailboat Records. Jones has also toured with The Eagles, Zac Brown Band, One Republic, Vince Gill, Tim McGraw & Faith Hill and Kip Moore. Tickets for the Songs for the Saints 2019 Tour go on-sale December 7th at 10 am local. Blue Chair Bay Rum returns as the presenting sponsor for Kenny Chesney’s tour.